Elena Koundoura successfully heads the Greek Ministry of Tourism. For outstanding achievements in the tourism sector, she was awarded the title of "The best Minister of Tourism in the world." She received an award from the Pacific Area Travel Writers Association. Within the framework of the PATWA Prize, not only the Minister but also Greece itself was awarded. She was called the best destination for recreation. This is another proof that the state in the Balkan Peninsula has almost recovered from the crisis and is successfully developing the tourism industry. Elena Koundoura also became the “Woman of the Year”. She was awarded the title of honor by the professional women’s organization for Saudi Arabian Women. She seeks to develop and promote opportunities for women in Saudi Arabia. The Greek Tourism Minister, according to activists at iSAW, has made a significant contribution to caring for women and children. But this is not all the awards Elena Koundoura. The International Peace Institute noted its success in the development of the national tourism industry. An international non-governmental organization acknowledged that its strategy to restore the tourism sector after the crisis is one of the most effective to date. Who are the achievements due to? Elena Koundoura herself in an interview with the Athens-Macedonian news agency noted that her awards are not a personal achievement, but an important recognition for the Greek tourism industry as a whole. She dedicated her honorary titles to Greece and its inhabitants, who, according to her, are the most welcoming, cheerful and hospitable in the world. Also in an interview, she expressed great gratitude to Prime Minister Alexis Tsipras for the high trust she had been shown to her. He entrusted Elena Koundoura with restoring the tourism industry, sharing his vision of a development strategy. The Minister thanked for the excellent work of all the staff of the Ministry of Tourism, as well as organizations and public executive services that assisted in achieving the goal. Special words were addressed to private players in the tourism market, as they also made an invaluable contribution to the development of the industry. Recently, Elena Koundoura was honored to become a member of the board of directors in the Mediterranean Tourism Fund. She received the invitation personally from the head of Malta. 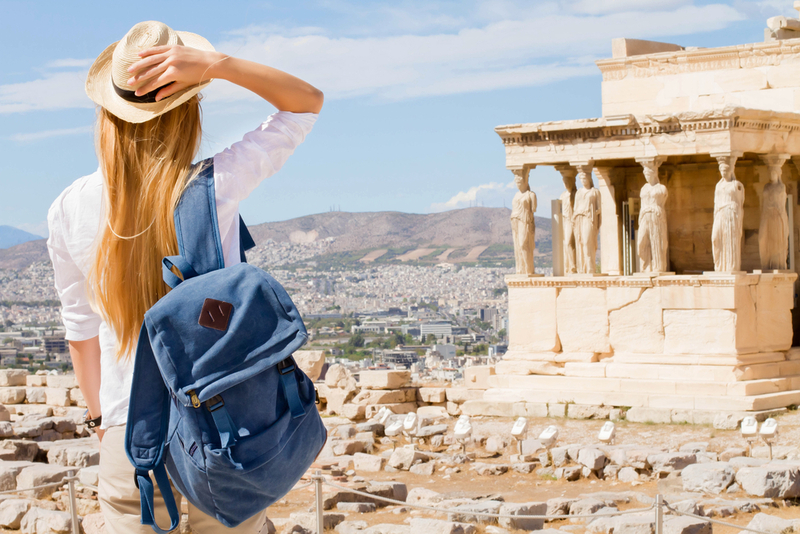 Thus, the tourism organization acknowledged that Greece does not play the last role in the development of Mediterranean resorts and the tourism sector in the region as a whole.